Motorcycle registrations for the 2019 Airshow ARE OPEN NOW! Be a part of the greatest show in the High Desert! 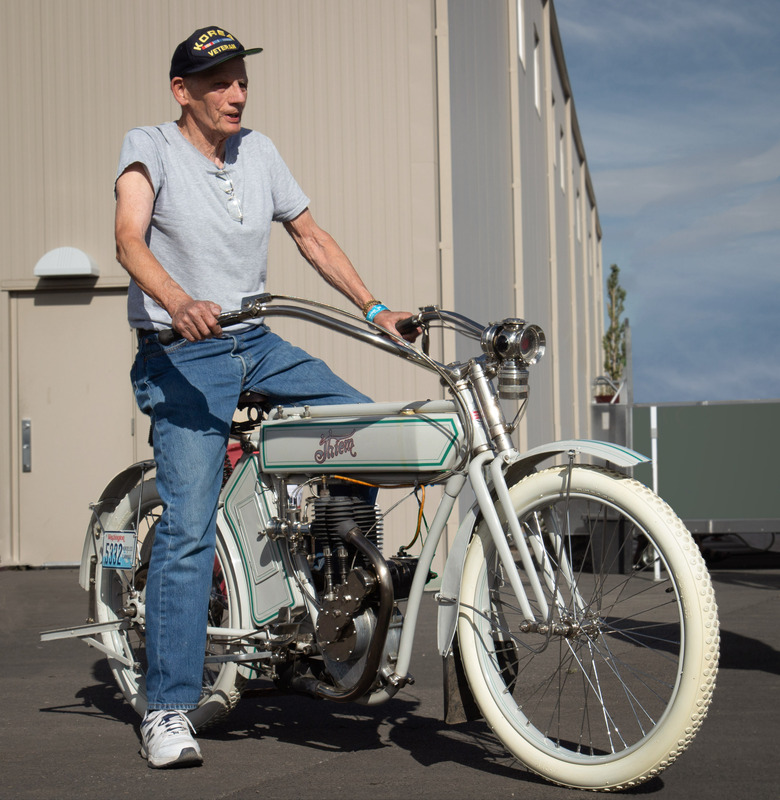 Unlike other motorcycle shows, the Airshow of the Cascades ​Motorcycle Show participants have the unique experience while getting to show off your own machine! Saturday, August 24th, 8:00 am - 4 pm (gates at 9:00 am) *Early departures are discouraged. $25.00 per entry (Saturday only). $20.00 if registered by June 30, 2019 - must use Promo Code "earlybird"
FREE access to the Erickson Aircraft Collection (shuttle service available) housing the largest private collection of operational vintage Warbirds in the world. Competition Bike: Includes Motocross, Drag Bike, Hill climb, Road Racer, etc. Custom: Built, not bought. Bikes with a lot of one-off and hand-built components. Modified: Bikes with trick aftermarket upgrades. Rat Bike: Not pretty, but definitively original. Vintage Unrestored: Pre-1980 untouched and patina of age. All entries must be complete and in running order. No unfinished or project bikes. All bikes must be pre-registered by June 30th or when spaces are sold out; whichever is first. Trophies will be awarded for Best of Show and 1st & 2nd in each class. To Register: If you're ready to register, please use our online Registration Form. You can also follow our Motorcycle Show Facebook page for more updates and information. We look forward to seeing you at the Airshow!